BIRGER. One-day Conference, Madagascar | BIRGER. Enhance the Performance of your business. Hyperconverged Infrastructure : redefining the Data Centre. Why Resiliency and Business Continuity Planning are important for your business? Technological Trends and Developments for Contact Centers. Enhance customer loyalty with cards instant issuance solutions. 08:30 – 08:45Introduction - BIRGER. Altitude delivers worldwide the Altitude Xperience (Unified Customer Interaction), a robust, modular, customer interaction management software platform. It handles all interactions and unifies all touch points throughout the organisation. Altitude Xperience contact center solutions are being used by over 300,000 people in 1100 organisations in 80 countries. Altitude has a 20-year plus track record of industry. Its customer interaction solutions have been included by Gartner in the industry Magic Quadrants since 2004. Altitude Software has 12 offices in four continents, a 160-strong partner network, and is ISO 9001 certified for its worldwide customer support. ContinuityMauritius is an all-in-one Business Continuity Management Services provider, unique in Mauritius. Together with its partners, BIRGER. and ContinuitySA, it offers a complete end-to-end Business Continuity Management (BCM) solution in compliance with internationally recognised standards, which are designed to enhance business resilience in an age of escalating threats. ContinuityMauritius offers a comprehensive range of services covering Advisory, Technology and Resilient office services. Businesses, government entities and non-governmental organisations operate in a volatile and threatening environment, and must manage their risks. This step goes through understanding the business impact of these risks and ensuring that organisations take all reasonable measures to ensure they recover from a disaster. Business continuity planning and regular business continuity testing help an organisation to be more resilient in the face of unforeseen disasters. Over the past 3 decades, BIRGER. and Entrust Datacard have collaborated closely to bring card solutions to the Indian Ocean Islands and since March 2016, in Rwanda. Our partnership offers value-added solutions in areas related to trusted identity and secure transaction technologies. With more than 2,000 employees in 34 countries around the world, and a network of strong global partners, the company serves customers in 150 countries worldwide. Entrust Datacard was founded in 1969 and is a privately held company headquartered in Minneapolis, Minnesota, USA. It generates over $600M in annual revenue. VMware, Inc., incorporated on February 10, 1998, is an information technology (IT) company. The Company is engaged in development and application of virtualization technologies with x86 server-based computing, separating application software from the underlying hardware. The Company offers various products, which allow organisations to manage IT resources across private and public clouds and multi-cloud, multi-device environments by leveraging synergies across three product categories: Software-Defined Data Center (SDDC), Hybrid Cloud Computing and End-User Computing (EUC). The SDDC is designed to transform and modernize the data center into an on-demand service that addresses application requirements by abstracting, pooling and automating the services that are required from the underlying hardware. The Company provides storage and availability products to offer data storage and protection options to all applications running on the vSphere platform. It also offers various services to its customers, including modernizing data centers, integrating public clouds, empowering digital workspaces and transforming security. It provides virtualization and cloud infrastructure solutions that enable businesses to transform the way they build, deliver and consume IT resources. Having worked with BIRGER. 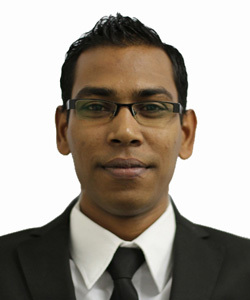 for the past 26 years, Rahman Nabheebucus is currently Head of the SelfService and Payment Business Unit. Since 1990, at BIRGER., Rahman has been involved in the implementation of various projects for the government, agricultural and textiles industries before moving to the Financial sector in 1995. 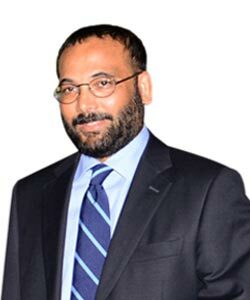 Since, he has mainly been involved in providing Self-Service, POS, Card Management , Switch and Payment solutions to the banks in general, both in Mauritius and the Indian Ocean Islands. 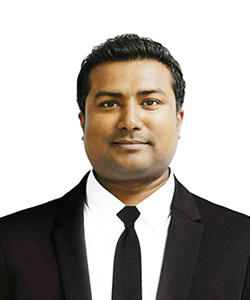 With over 20 years experience in the Self-Service industry and related areas, and working closely with key partners, Rahman has accumulated a wealth of knowledge, allowing him to better manage the Monetique portfolio. 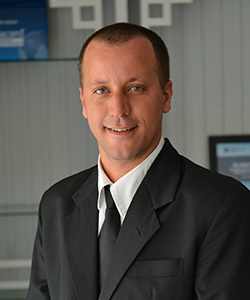 Michael Perrine is Head of Security Solutions Business unit. He has studied at Technical school St Gabriel and holds a “brevet” in the electronic field. Michael started his career with BIRGER. since 2000. Between 2000 and 2009, he worked as field technician in the bureautique workshop providing support on various types of equipment like photocopying machines, mailing solutions, queuing systems, cameras and time & attendance system to various sectors. He has been trained overseas and certified on security products and Entrust Datacard card printing solutions. In 2010, Michael was promoted as Sales and technical support where he was in charge of the field technicians and also commercialised most of the bureautique solutions. In 2012, Michael was given the responsibility to market and sell the Entrust Datacard solutions and his technical team implemented various projects in the financial and government sectors. In 2015, Michael became Head of Security Solutions Business Unit at BIRGER. Bob Hurree is currently Presales – Software Engineer in Business Systems and Solutions BU (BSS). He holds a Diploma in Information Technology from the University of Greenwich and has more than 11 years experience in the ICT industry. Between 2010 and 2015, he worked as a Support Engineer in NSS BU providing support for contact center solutions, telephony software solutions and software development. He was responsible for the design, installation, configuration and support for the various projects within Mauritius and in the Indian Ocean Islands and Africa. In 2015, Bob was promoted as a Presales – Software Engineer and now works closely with the customers to understand their business needs and propose the best solutions. 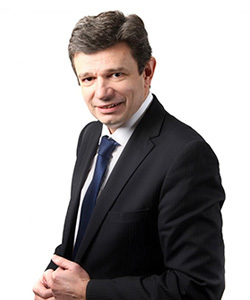 Christophe Gaillard´s mission is to drive growth and revenue in France and French-speaking countries. He is leading Altitude office in Paris to provide the next generation of omnichannel customer interactions solutions. 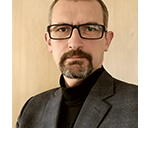 Christophe has 20 years experience in software business sector, with professional experience in Customer Assistance, Product Management, Sales operations and Pre-Sales management. 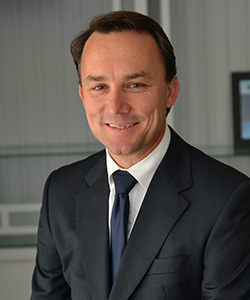 Christophe holds a Master’s Degree in Econometrics from Lumière Lyon 2 University. Dan Faugoo joined BIRGER. in January 2017 as General Manager of Continuity Mauritius Co Ltd. He has more than 25 years experience in the IT field, having previously held a number of key positions with high-profile organisations in both the private and public sector. This included Bank of America Merrill Lynch, Barclays Bank Plc and the National Computer Board of Mauritius where he most recently served as Executive Director. Dan holds a Degree in Computer Science from the University of Paris VIII – France and an MSc in Business Systems Analysis and Design from City, University of London – UK. 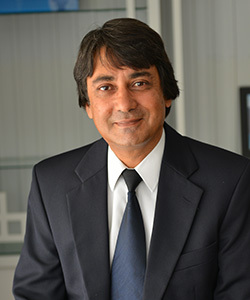 He is also a Certified ITIL Service Manager and a Chartered Fellow (FBCS CITP) of the British Computer Society. With 11 years in the card industry and technical engineering background, Gael helps banks and service bureaus addressing their customer’s needs and growing their business. The industry is changing rapidly and it is his duty to provide solutions to ensure a sustainable growth. Hervé joined VMware in 2010 as Sr Director of pre-sales & Advisory Services for Southern Europe the Middle-East and Africa (SEMEA). In 2013, he took over the responsibility of all Channel and Alliances ecosystems as well as the Commercial segment for SEMEA region. His role is to drive the transformation of the ecosystems of partners to generate incremental revenue especially on non-core solutions, to expand their footprint in cloud services and to ensure their ability to deploy VMware solutions at customer site. 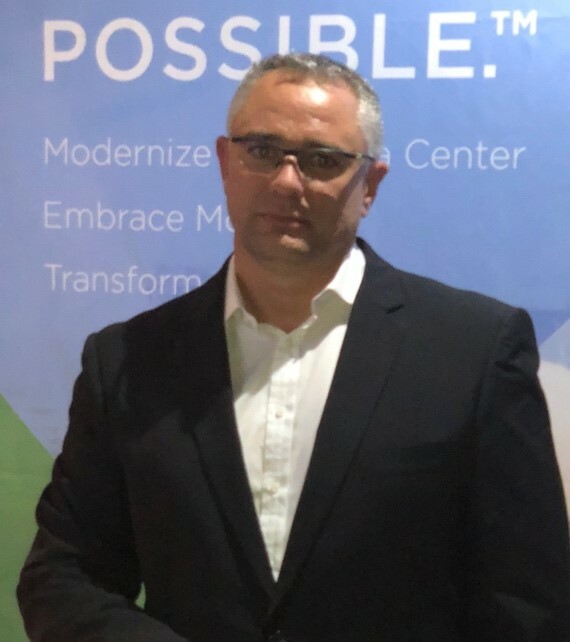 Before joining VMware, Hervé worked for more than 15 years in various international senior management roles for major software companies including Symantec, Business Objects and SAP. He holds an IT Engineering degree from EISTI (École Internationale des Sciences du Traitement de l'Information). 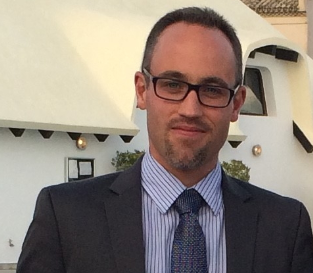 Fernando joined VMware in 2014 as Sr Enterprise Account Manager for 8 African countries within Southern Europe, the Middle-East and Africa (SEMEA). In 2015, he took over the responsibility of all 25 countries in SADC region for SEMEA. His role is to drive the VMware commercial business in the Africa region through the ecosystems of partners to generate change in the modernise data center concept on VMware’s Software Defined Datacenter Solutions, to expand the VMware footprint in cloud services and to assist customers understanding and achieving the digital transformation journey. Before joining VMware, Fernando has more than 12 years experience in Enterprise Account Management and Sales in the Africa region for major software international companies, such as Oracle, and SoftwareAG. He holds a Technical Engineering diploma in Electronics and Telecommunications.